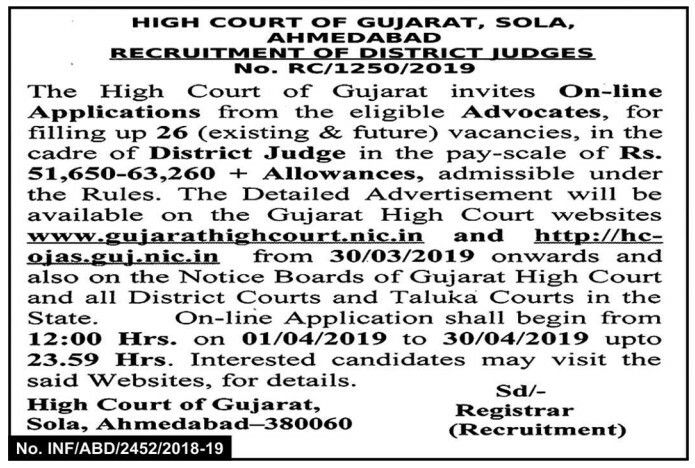 Gujarat High Court Recruitment 2019: Apply for 26 District Judge Vacancies: Recruitment Notice from High court of Gujarat is available!!! Gujarat High Court invites Online applications from eligible candidates for 26 posts of District Judge. Intended Candidates can get the link of Online Application below. Know more about Eligibility, Salary, Selection procedure in the below sections. Educational Qualification: Candidates must have passed 8th Class from a recognized Board. 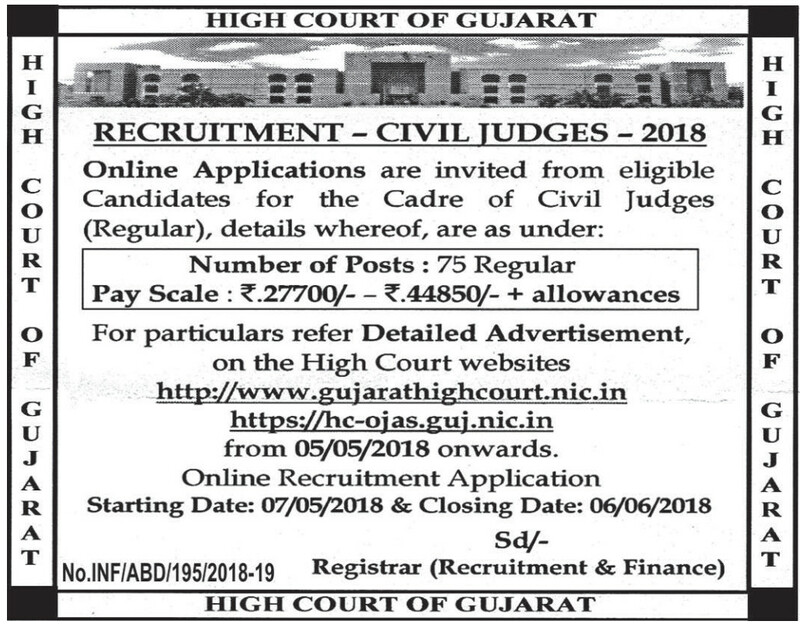 Short Details: The High Court of Gujarat has rolled out a vacancy notification via hc-ojas.guj.nic.in for the Gujarat High Court Recruitment 2018 of 75 Civil Judge Jobs 2018. It is a golden opportunity for candidates who are aiming for Gujarat Govt Jobs. 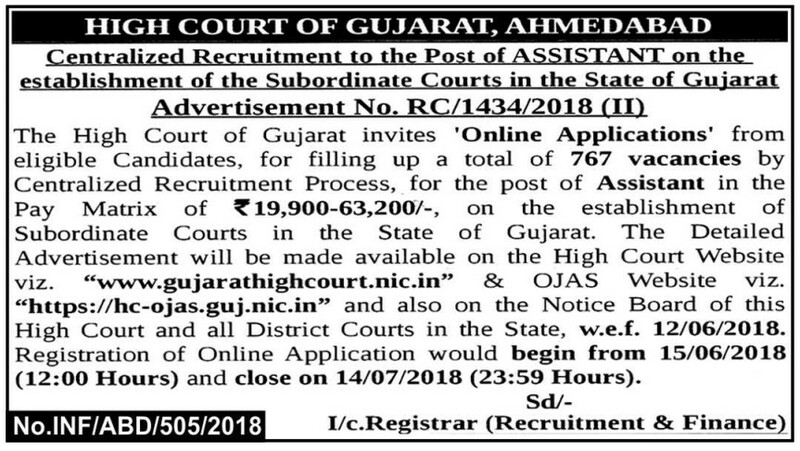 Interested & Eligible candidates applied from 07 May 2018 from the official website of High Court of Gujarat. Candidates can check all the information related to Gujarat High Court Civil Judge Recruitment 2018 here like qualification, age limit, application fee, selection process, how apply, important dates, call letter, answer key, result.